According to the court document someone just shot me in PDF form, Marvel seems to have won the significant part of the recent round of legal maneuvering with the family of cartooning legend Jack Kirby. While the summary judgment against Neal and Lisa Kirby was terminated on grounds of jurisdiction, the basic argument against the family was upheld in terms of Barbara and Susan when it came to nailing down whether or not the work Kirby did for Marvel back in the 1960s constituted work for hire. If I'm reading the basic logic correctly and these documents are on the up and up, it seems because these works were work for hire as the case by Marvel asserts, there were no copyrights to be assigned that can no be reclaimed. There will be much better and more thorough analyses for sure, but the basic principles applied seem to be something called instance and expense. 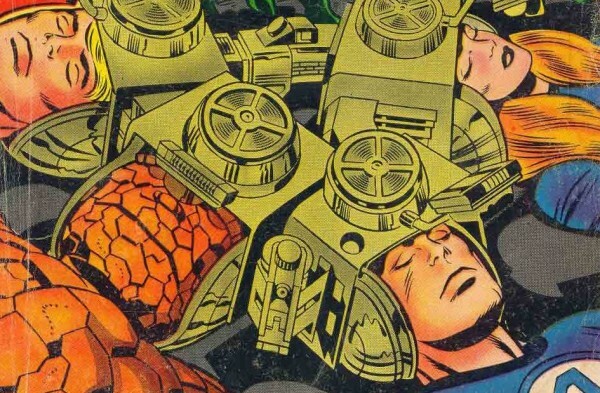 The decision establishes Kirby in the court's mind as a independent contractor whose main work in this time period, including the work in question, is intended for Marvel based on their assignments and even their broader expectations for what he would be doing there; the pencils and character designs are also a contributing work to an overall, completed product. They also suggest that historical testimony offered by Mark Evanier and John Morrow does not provide counter-evidence as to how Marvel might have seen or even approached that relationship because it is not based on direct evidence or testimony as to how that company worked but rather readings and interpretations of others' accounts.